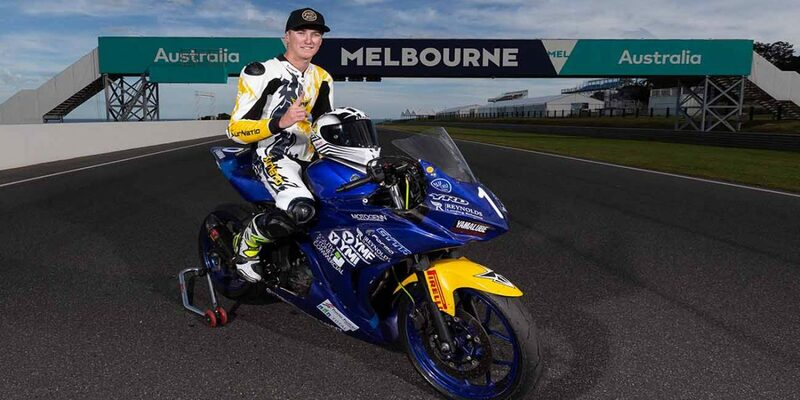 Hunter Ford (Yamaha, YZF-R3) has clinched the 2018 YMF R3 Cup title in exceptional circumstances here at the Spokes.com.au presents Round 7 Phillip Island Grand Prix Circuit. 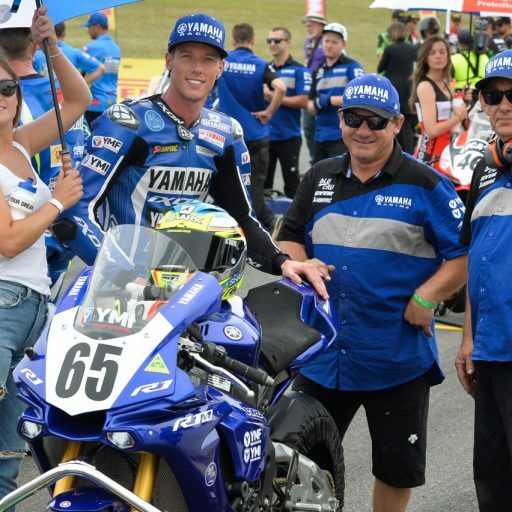 Tom Bramich (JLT, Yamaha YZF-R3) managed to win race two but a victory for Ford in race three sealed the title in the Yamaha Motor Finance Australian Superbike Championship presented by Motul Pirelli (ASBK). Race Two of the YMF R3 Cup was as spectacular as the weather, with competitors battling it out to clinch their spot in the coveted top five. Nabbing first place was Bramich. Coming in hot on Bramich’s heels was the Ford, who was quick to take the lead in lap one from pole position holder, Locky Taylor (Shark Leathers, Yamaha YZF-R3). Lap one also saw Luke Power crash out, which unfortunately has impacted his position on the ladder. Clinching the final podium position for Race Two of the YMF R3 Cup was Taylor. 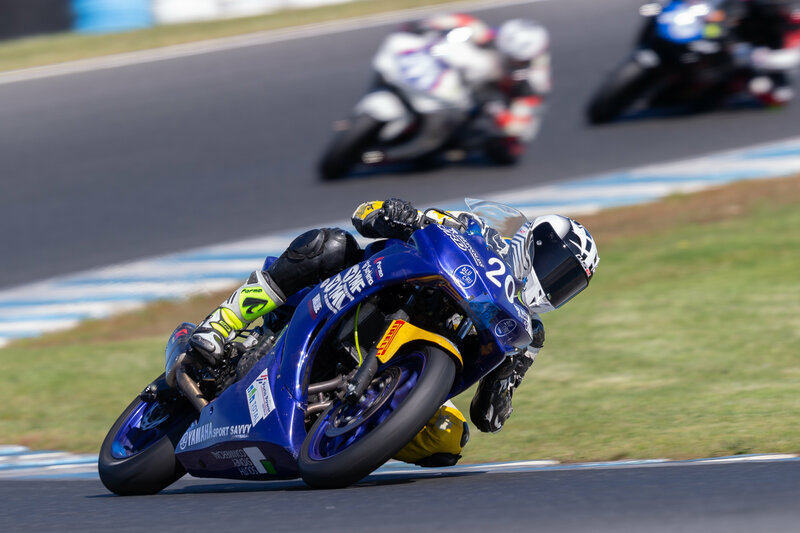 Taylor was met with intense competition from his rival throughout all seven laps, meeting the likes of Talya Relph (Baldivis Forklifts, Yamaha YZF-R3), Zac Levy (Puma RV’s, Yamaha YZF-R3) and Callum O’Brien who all had their sights set on sinking their teeth into that podium. 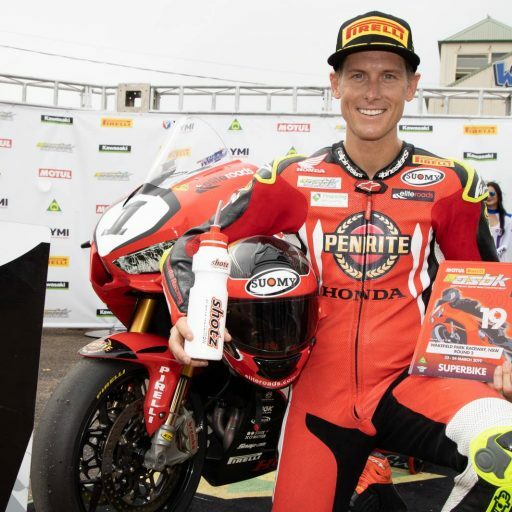 Relph was a fan favourite in Race Two, coming from sixth to first position and keeping fans on the edge of their seats as she pulled out all stops in her campaign to nab her first podium position. Unfortunately, Relph couldn’t keep up the pace and fell back to ninth position as she crossed the finish line. 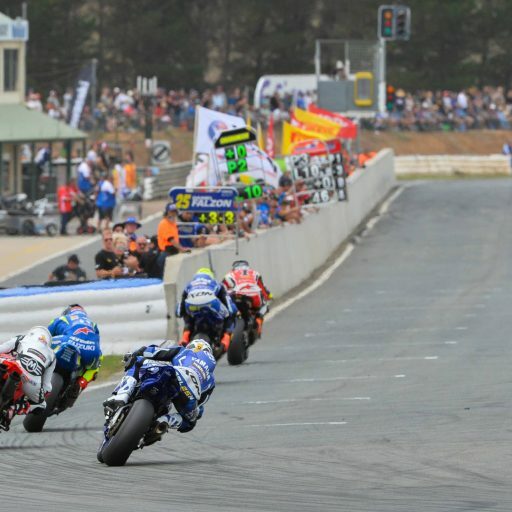 With so little space between the top three riders of this class, Race Three later this afternoon will promise an exhilarating show for all, where it’s each man and women for themselves. 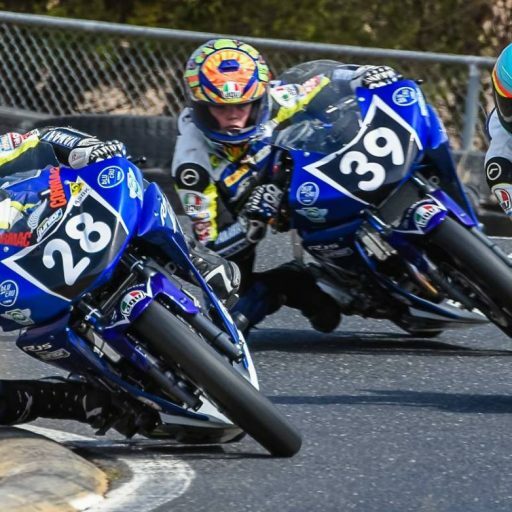 The final race for the weekend, Race Three of the YMF R3 Cup displayed some of the best talent in Australia’s younger Road Race stars. In one of the closest leader boards of the weekend, Race Three also announced the official title winner of the YMF R3 Cup, Ford. 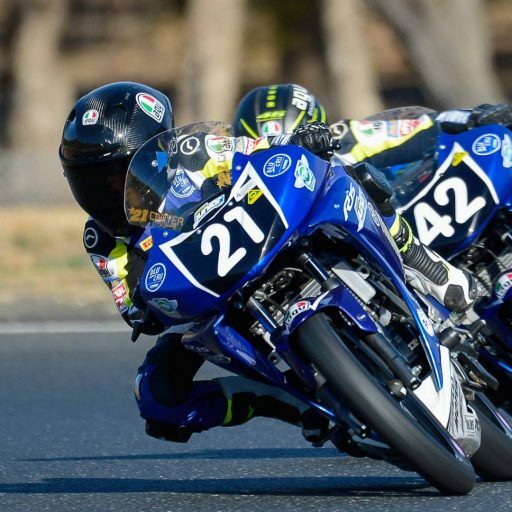 It was a title decider that no one could pick, with first position being thrown around from Taylor, Levy, Max Stauffer (Rock Oil, Yamaha YZF-R3), Bramich and Ford. If you weren’t already frazzled by Race Two, then Race Three would have certainly sent you over the edge. Coming in for top podium position in Race Three was Ford, who grasped the victory in the final seconds. The fire in the ‘Podium Hunter’ was absolutely alight, as he used ‘The Island’s’ tight hairpins and sweeping turns to his advantage. Ford’s victory this afternoon also secures his victory as the title winner of the 2018 YMF R3 Cup, producing 288 points overall. Arriving in second place on the podium for Race Three was Levy, who flew in to steal his spot less than one second after Ford. Levy’s success today has earnt him second place overall in the 2018 YMF R3 Cup, with 276 points. 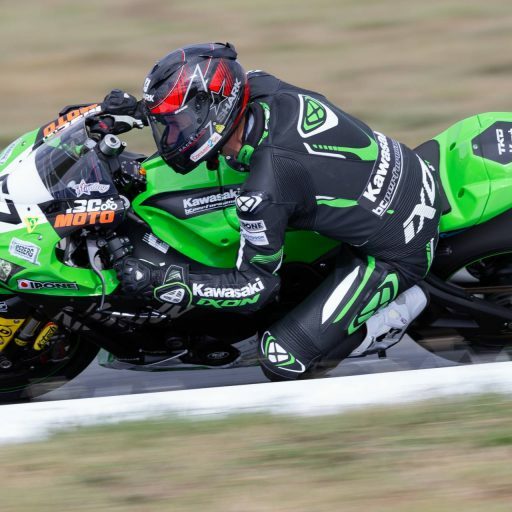 Bramich enjoyed success earlier today in the Australian Supersport 300 Championship, but unfortunately couldn’t maintain the winning streak in the YMF R3 Cup, coming in third on the podium for Race Three. Thanks to his victory in Race Two and securing the final position on the Race Three podium, Bramich has come in third overall in the 2018 YMF R3 Cup with 272.5 points. In weather that was nothing short of pristine, ‘The Island’ was the perfect setting to witness the scrabble of numerous excellent competitors in order to grab as many points as possible, in an attempt to separate themselves from their rivals. Relph and Laura Brown were additional impressive figures today who taught the boys a thing or two by dominating in the top 10 throughout both Race Two and Three. We are no doubt in for an exciting and highly skilled 2019 season, that will prove how impressive our emerging Road Race talent is. 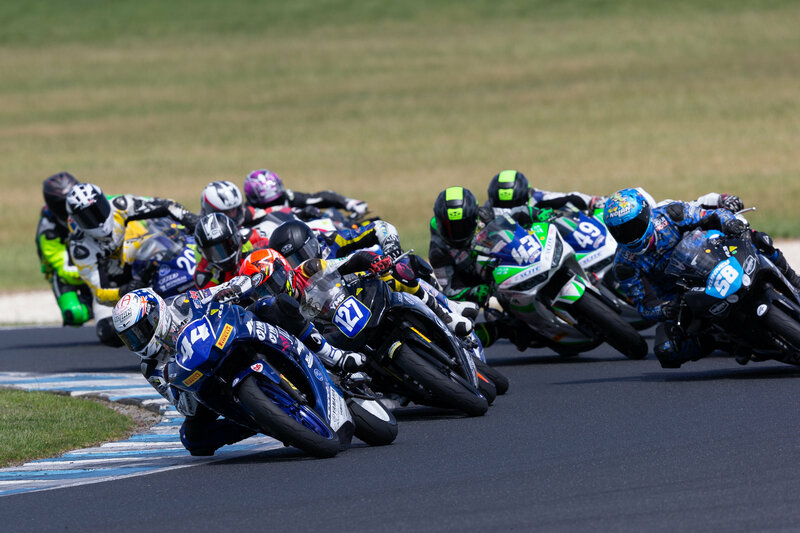 Stay up to date with all the latest news and updates from ASBK by liking ASBK on Facebook, following the @asbk on Instagram and checking out the ASBK website here. 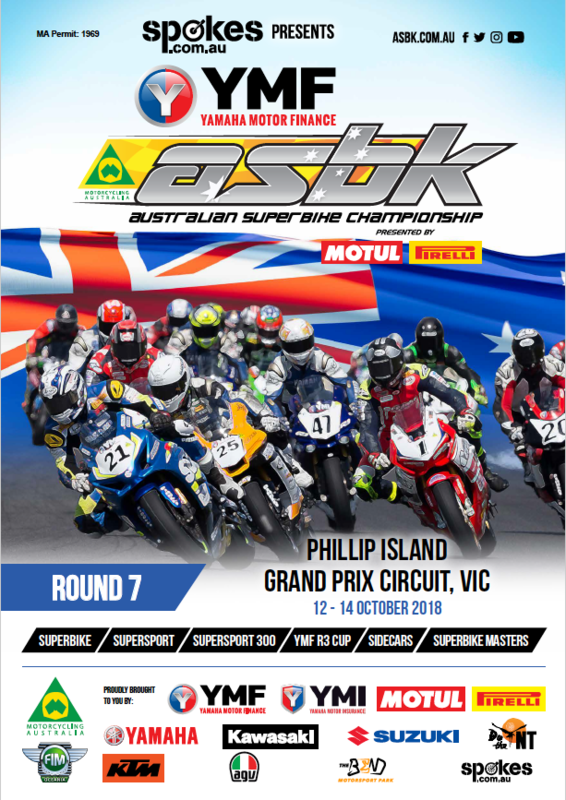 To purchase your tickets for ASBK head to asbk.com.au.